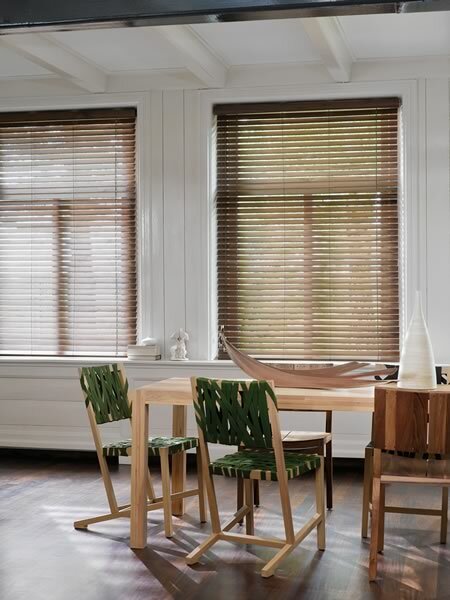 The new Luxaflex® Wooden Blinds Collection boasts over 40 different and exciting wood offerings, ranging from stunning Bamboo to on trend finished and distinct Designer Woods. 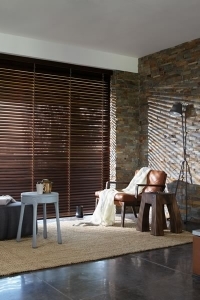 Two new real woods were added to the Venetian collection in 2015 , Cherry and Teak, both of which are FSC Certified. 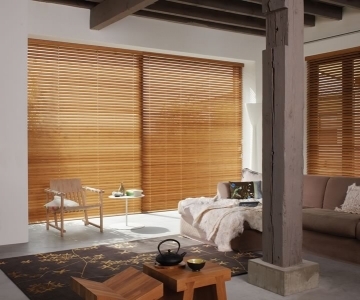 One key element to the new collection sees the replacement of 25mm slats with 35mm slats, as trends dictate that the consumer wants to let more light into their home. 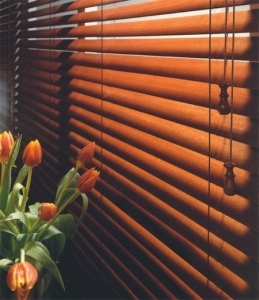 You may find more on our wooden blinds website. 25 mm | For an excellent balance of visual style and outstanding durability. Featuring the widest range of colour choices, finishes and textures, including numerous sophisticated perforation options. 35 mm | Functional, reliable, and timeless. Ideal for medium to large-sized windows. 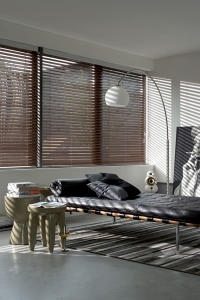 Effortlessly control and direct the light in your room with the simple twist of a wand. 50 mm | A striking design classic. 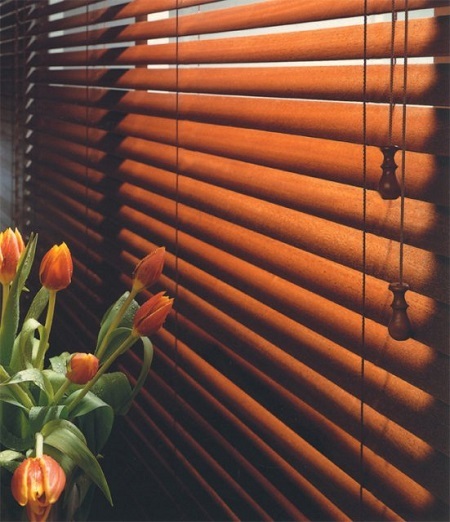 A newly re-engineered look featuring gracefully rounded slat corners with options for custom perforations at the slat ends or near the pull cords for an enhanced sense of retro style. 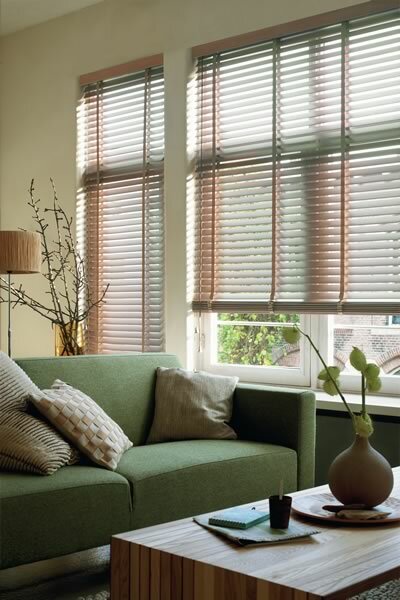 70 mm | To extend our offering for every size of window, particularly for larger windows in your home or office. 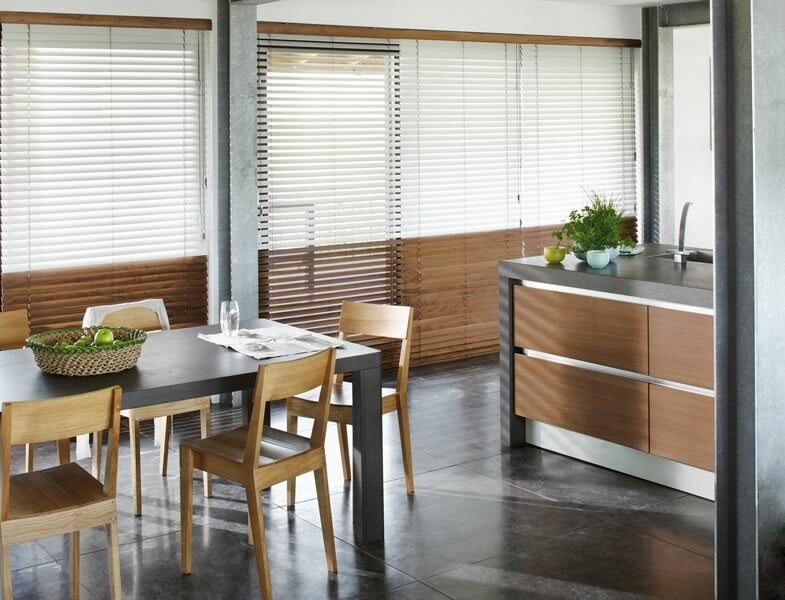 Double the view | This blind offers you that extra view and privacy control that you might be looking for. 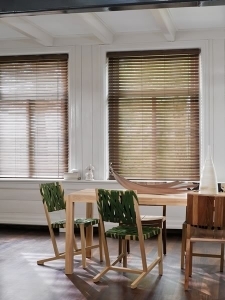 This blind closes as a normal 25 mm blind, but when you open it, a MegaView® outside view is presented, by doubling the view through to the outside. 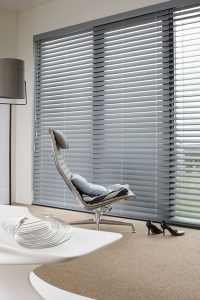 Colours | Venetian Blinds are available in an unrivalled spectrum of contemporary colours and finishes; soft pastels, sophisticated variations of white and Luxaflex High Gloss Piano Blind. Textures | From elegant hammerbeats and brushed aluminium textures to subtle tone-on-tone structures, and refined, multi-colour designs. 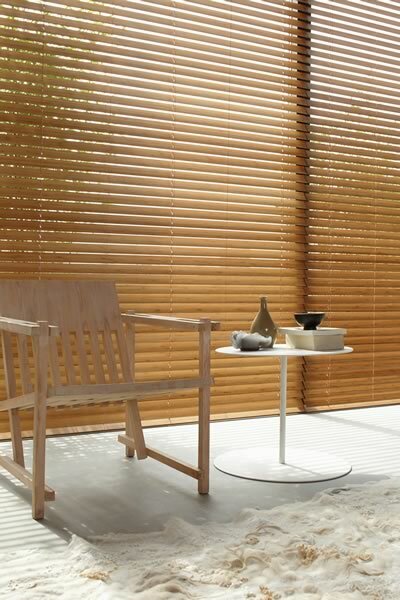 Expressions | Always wanted to give your blind a personal touch ? 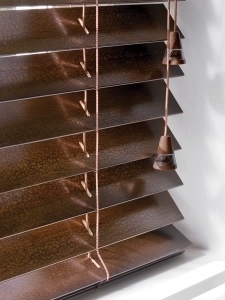 Get creative for a unique product. Hollywood is a faux wood Venetian blind collection available in a stunning array of colours and tones with a subtle grain effect. 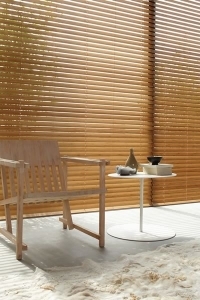 Hollywood combines the style of natural wood with the practicality of PVC to ensure consistent colour and unrivalled stability. 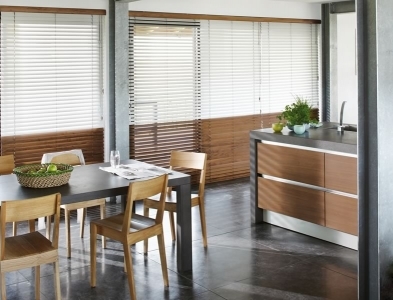 Hollywood is moisture resistant making it the ideal choice for kitchen and bathrooms. 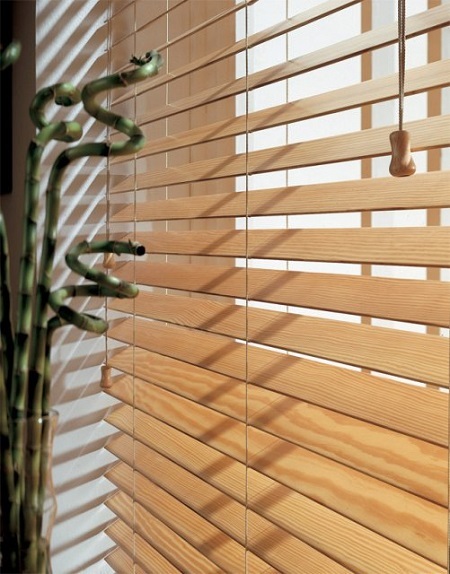 Available in 50mm slat size. Is a beautiful wood Venetian collection offering the perfect combination of unrivalled performance with the appeal of natural wood. Small discreet holes are positioned at the back of each slat to give a cleaner aesthetic superior privacy and exceptional light control. 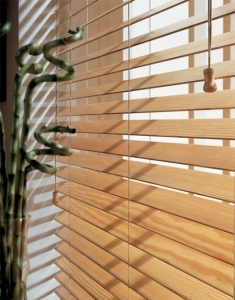 Available in 50mm and 63.5mm slat size. Is a stunning elegant wood Venetian collection that combines the natural warmth and beauty of wood with exquisite workmanship. 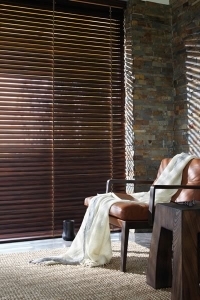 This luxury collection has everything from matte and gloss finishes to distressed and bamboo options. 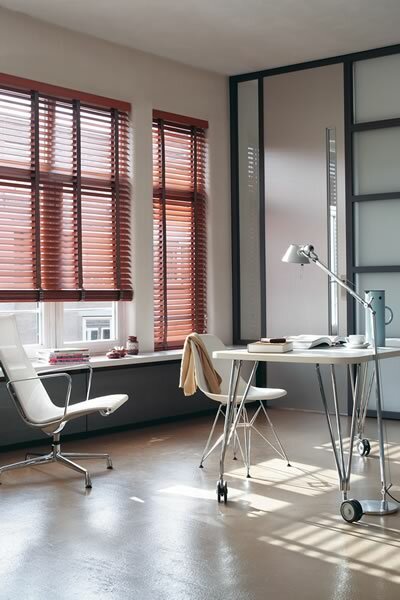 Stylewood blinds are completely hand crafted and can be tailor made to suit your requirements. You can choose everything from control options to ladder tape colours. 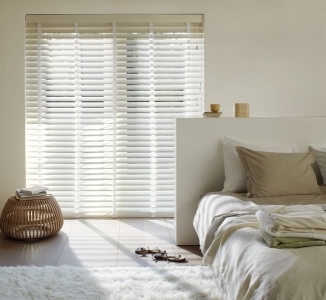 With a vast selection of whites, creams, distressed, gloss and metallic slats to choose from. 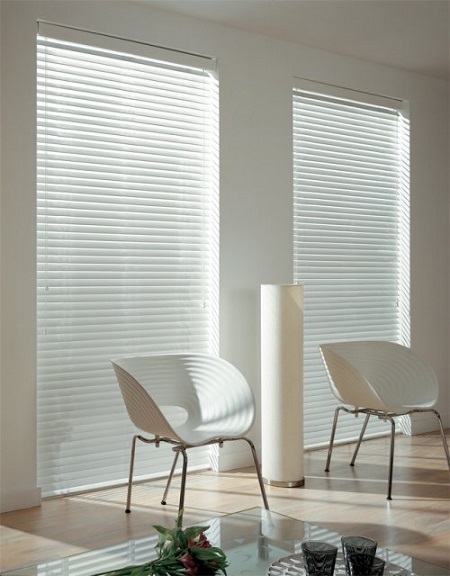 Available in 50mm slat size. 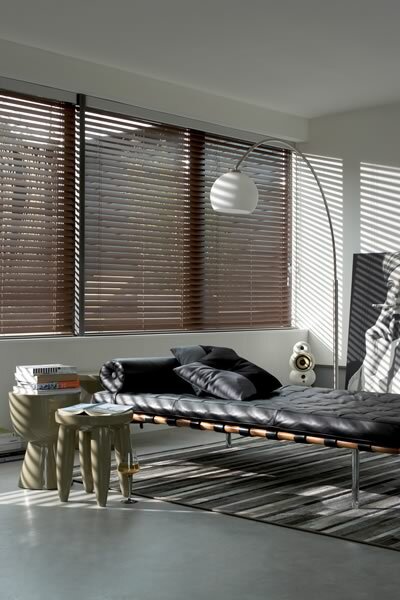 If you are looking for quality wooden Venetian blinds supplied and fitted in Essex, ART Blinds can help. 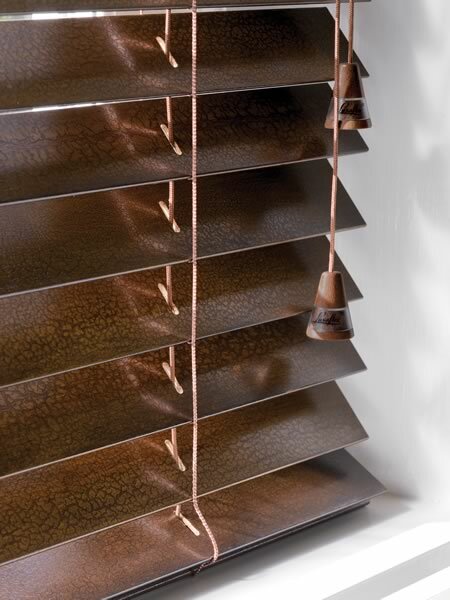 We supply only the highest quality wooden Venetian blinds to our customers.